I bet that title turned some heads. I guarantee you there are going to be people who will automatically think “Well that explains a lot!” without reading any further. I believe in going back to the origins of things instead of just taking them at face value. So, that leads to my next question… What is a “Christian”? Depending on who you ask, you’ll get a different answer. So many people say so much stuff about “Christians” and they don’t truly know what one is. I, personally, do not like the term “Christian” and I’ll explain why. They are meaning that they are religious and/or following some religion that Jesus is involved. They are meaning that the person goes to church on a regular basis. That they are a good person and have a basic biblical character. By most believers a “Christian” is someone who accepts Christ as their Lord and Savior. What does the bible say about “Christians? The bible mentions the word “Christian” three times. Yea, I was surprised too. Where? I’m glad you asked. It’s found in Acts 11:26; 26:28, and 1 Peter 4:16. Acts 11:26 says “26 and when he had found him, he brought him to Antioch. So it was that for a whole year they assembled with the church and taught a great many people. And the disciples were first called Christians in Antioch.” Acts 26:28 says “28 Then Agrippa said to Paul, “You almost persuade me to become a Christian.” “16 Yet if anyone suffers as a Christian, let him not be ashamed, but let him glorify God in this matter.” 1 Peter 4:16, all NKJV. 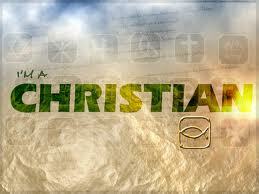 The word “Christian” came from the Greek word Christianos. The suffix –ianos was popularly used to specify the slaves of the one whose name with which it was compounded. So “Christianos” literally meant slaves of Christ. Therefor “Christianos,” or “Christian,” was originally a term used by unbelievers to describe the followers of Jesus Christ as slaves. It was meant to be a mockery not, by any means, an honorable title. In all three occasions where “Christian(s)” is mentioned in the bible (Acts 11:26; 26:28, and 1 Peter 4:16) it is used the same way in each. In Acts 11:25-26 “Then Barnabas departed for Tarsus to seek Saul. And when he had found him, he brought him to Antioch. So it was that for a whole year they assembled with the church and taught a great many people. And the disciples were first called Christians in Antioch.” New King James Version. Saul and Barnabas taught in Antioch for a year and the believers were so faithful and lived for nothing but Christ and to lift one another up in love that the non-believers mocked them and called them “Christianos,” or “Christians,” in English. In Acts 26:27-29 “27 King Agrippa, do you believe the prophets? I know you do—”28 Agrippa interrupted him. “Do you think you can persuade me to become a Christian so quickly?” 9 Paul replied, “Whether quickly or not, I pray to God that both you and everyone here in this audience might become the same as I am, except for these chains.” New Living Translation (NLT) Paul is in shackles and on trial for his life. King Agrippa knew that Paul was once out persecuting the prophets and at first doesn’t think he’s thinking clearly. After proclaiming that he is thinking with logic and reason the king see’s that he’s truly a changed man. Paul then proceeds to witness to the king asking him if he believes the prophets. Paul has completely changed and he knows that King Agrippa knows that there is something different and that there must be some truth to it. Except he knew what he would look like if he were to become a “Christian” in the sight of the people (yes, the politics of it existed back then as well) and how he would look in front of the other leaders in their presence. Paul was saying that he prayed for all of them to become like he is. Note that he did not say a “Christian” but rather “become the same as I, except for the chains” which is literally to become a follower of Christ and l except for being bound in chains (litterally as one bound in handcuffs accused before a judge). Finally we have the final verse that mentions the word “Christian” in the bible which is 1 Peter 4:14-16 “14 Happy are you if you are insulted because you are Christ’s followers; this means that the glorious Spirit, the Spirit of God, is resting on you.15 If you suffer, it must not be because you are a murderer or a thief or a criminal or a meddler in other people’s affairs.16 However, if you suffer because you are a Christian, don’t be ashamed of it, but thank God that you bear Christ’s name.” Good News Translation. If we suffer for the name of Christ then we will be blessed by God. I believe many people try to leave out or ignore verse 15 all together. Just because you suffer doesn’t necessarily its glorified by God. We are not to suffer as a murderer, thief, criminal, or meddle in other people’s affairs. We’re all human and we all make mistakes and God will forgive us if/when we humbly repent but we should not just expect it and try our best to lead faithful lives. However if we suffer as a “Christian,” (from non-believers by being looked down upon, being mocked, and/or physically beaten for following Christ Jesus) then we will be blessed by God. We live primarily in a nation that practices religious tolerance. 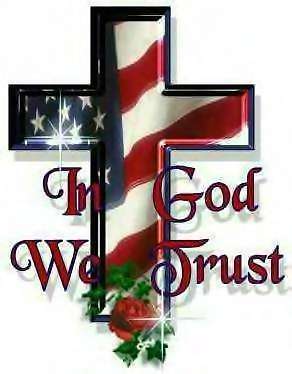 Over 90% of the United States believes in God (not necessarily the same God that we believe in but in a God). There are about 9-10% agnostic/atheists. Please note that they are not the same thing. Agnostics believe that we cannot understand God or a higher power. Most, however, believe in a higher power but believe we can’t understand it or that God cannot be proved or disproved. I am a believer, a follower of Christ, and a part of the church. I do not consider myself to have ever been looked down upon, mocked, or beaten because I believe in Christ. I have however, had conversations with people who said they were not “Christians,” nor did they want to simply because of how most “Christians” are. They (we as followers of Christ) can be very hateful, judgmental, very closed-minded, and just plain rude. You don’t believe me? Why don’t you just ask any waitress/waiter that works on Sunday at lunch time and see what they tell you. It’s about ridiculous how many so-called “Christians” behave themselves and want to proclaim the truth to everyone else but don’t want to live it for themselves. Those are my thoughts and I welcome yours. « What Version of the Bible Should I Read? Great post! I too have attempted to shed the Christian label from time to time. I find it difficult to do simply becuase most people don’t get it though. “Chrisitian” is a cultural label that people are confortable with even though it doesn’t speak well the the reality of being a “Christ-follower” or follower of “The Way” which are both more accurate and biblical labels that I prefer to use when referring to myself. Chris, I understand the point of your writing the article and have even taught the same theme in youth before. 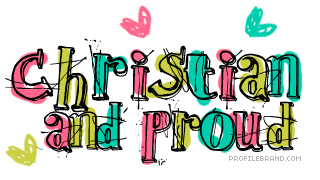 I do agree that we shouldnt be calling ourselves Christians, because Christian is a lifestyle not a title. The part I disagree with is your comment of not wantin the title of Christian because it has a negative view from the world, which not matter what title people use it too can become tainted as the title Christian has become, what I think we as the Church should worry about is not what the world is calling us but what is God calling us, is it Well done good and faithful servant or depart from Me, you who work inequity. When asked if I am a Christian I typically respond as, I try to be. But I do agree it has been cheapened on the backs of many peopl in chrches, who are not part of the Church. Overall good piece. I also have taught youth on this topic. I do see your point and agree that no matter what “title” we as children of God give ourselves it will be tainted by people on the outside looking in. I see it and understand it. Thanks for your input. It helps me when people respond. I sometimes get people commenting on here some send me private messages, some comment on facebook, some talk to me in person, but most ignore it or just dont comment at all. It really does help. Indeed you are on point bro, People have a mammoth misconception concerning “Christian”. I think we should show much concern on how God calls us and how He sees us. Remember the disciples were 12. Although Judas Betrayed Christ but he was still counted as part of the disciples. Although the title Christians may be tainting yet we should hold on to our faith.